This thread is a catch-all for DFW road projects, rather than having many topics for each individual news item. Spur 366, Woodall Rodgers Freeway, is being extended westward from its current terminus at IH 35E across the Trinity River to end at Beckley Avenue on the other side. Ghost ramps are being included for a future Trinity Parkway Interchange. The project includes a large bridge over the river ditch. The below image shows progress at the 35E/Spur 366 interchange in July, 2009. The pillars for the ramps are up, and now the decks are being constructed. WHAT?! I'm gonna sue Rand McNally, it's not even on the 2010 large scale atlas The Dallas North Tollway also still ends on SH-121 in Plano, and not US 380 in Frisco like on Gmaps. I just get the idea they just sell 2009 atlases with a new cover. I couldn't find any difference with my 2009 atlas yet. And here is an aerial image of the bridge from 6 days ago (its the one in the middle part of the photograph). Rand not showing the extension of the DNT still is pretty bad, that extension opened by October 2007. Also noteworthy, I read that SH 161 opened on August 2nd between SH 183 and I-30 in Grand Prairie. It's a toll road, but it doesn't seem to be a direct extension of the President George Bush Turnpike. Wow, I guess even the freeway networks are bigger in Texas. Do you know when the TX-360 project will start? The Frontage Roads of SH 360 already exist all the way to US 287. Are there plans to convert US 380 between Denton and McKinney to a freeway? I would be a nice first step to a super-duper-beltway around the DFW area. The Dallas suburbs already reach as a far north as Frisco, Denton and McKinney, all cities with a population of around 100,000. I thought US 380 might be upgraded to full freeway, and posted (speculatively) to this general effect on SkyscraperCity.com, but the schematic I picked at random for examination shows a surface arterial with signals at select major intersections. It looks like TxDOT is going for access management rather than a full freeway. Through-traffic volumes however are around the 20,000-VPD mark, which has in the past been considered justification for a full freeway. Initial work just started on the DFW Connector Project. I tried Inkscape for the first time, updating a somewhat older map from wikipedia. Also, on Tuesday, drivers on the Sam Rayburn Tollway, will be able to take the road further north. The road currently stops at Hillcrest Road, but beginning tomorrow will extend about 3.5 miles further, to Custer Road. Just a heads-up--the NTTA has just advertised the Maltese cross stack at the intersection of the DNT and SH 121T (Sam Rayburn Tollway). Plans are free to view but require a (free, via automatic registration) user account. I was able to trace that ROW from those images to a point on US 80 a short distance east of Mesquite, TX (by Lawson Rd). Is the Bush Turnpike planned to continue southward from there and if so, how far? The PGBT is, of course, the modern incarnation of Loop 9, and in principle could form a complete loop around Dallas. But the length actually under construction runs only from SH 78 to IH 30 and the Eastern Extension currently being planned would run from IH 30 to IH 20. I am still waiting for serious movement on the NTTA's part of the Southwest Parkway (SH 121). It is a joint NTTA/TxDOT project and TxDOT has let one or two major contracts for its share of the work (which includes a stack interchange at IH 20), but so far the NTTA hasn't advertised anything related to the Southwest Parkway. Edit: I really need to stop spreading wrong information. The NTTA, in fact, has let one contract related to the Southwest Parkway--02789, last autumn. However, as far as I can tell, it provides just for the construction of retaining walls and a relocation (involving bridges passing over future SH 121) of the ramps which connect IH 30 to Rosedale Street in Fort Worth. This is a fairly small part of what will eventually become an IH 30/SH 121 interchange complex. A interesting trivia about the Eastern Extension from I-30 to I-20, is it referred officially as SH-190 instead of the PGBT. I wonder if the current gap of TX-170 once upgraded to full tollway, might be part of Loop-9 in the long term? I dust-off a bit the subject, when I checked the I-635/LBJ HOT project, I spotted the following document dated from 2007 at http://www.newlbj.com/documents/Categorical%20Exclusion,%20IH%20635-US%2075%20Interchange-June%202008/Figure%207a-7h.pdf and it show the Northern gap of the proposed Loop 9 taking a completely different corridor in the north. It's now more closer to US-380 O_o, does the DFW metroplex will sprawl there? Come to think of it, will it sprawl to the Oklahoma border? I wonder why Dallas only sprawls to the north in the first time. If you hit I-45 south, you'll be out of the continuous developments within 10 - 12 miles, but if you hit US 75 north, it takes like 32 miles. However, if you look at earlier Google Earth imagery, and compare them to the latest (2009) imagery, you'll see the development of new suburbs has stalled significantly. Dallas sprawls to the north because all of the poor people live on the south side. Rich people, being rich, require and own more space so they get a lot more sprawl. Its that way with most American cities. 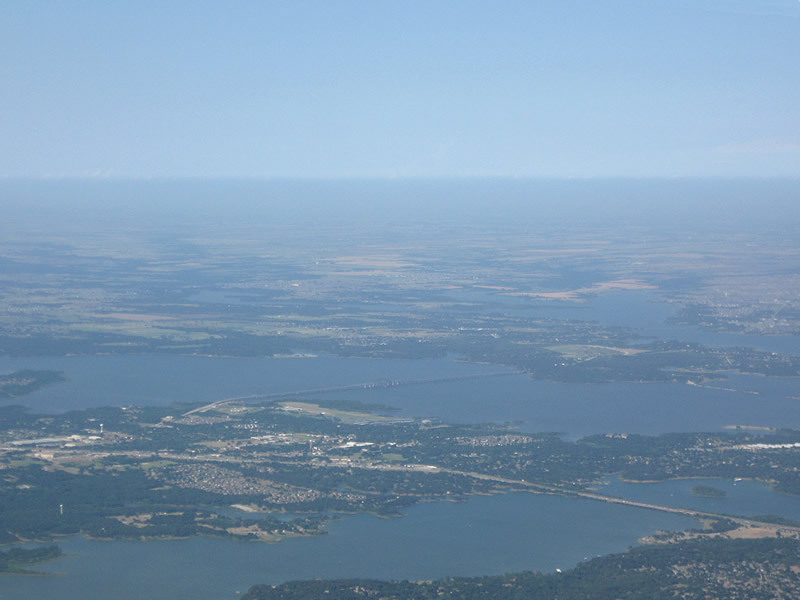 The DMN had an article, yesterday, on the new briges for the PGBT eastern extension over Lake Ray Hubbard.